Let’s talk grammar. 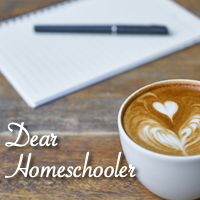 It seems that people either love it or hate it, but despite our personal love or hate for it, it is an essential part of any homeschool curriculum. As you may know, my degree is in linguistics, and I worked in the Writing Lab in college. So, yes, I am a grammar nerd. I really do love it and conversations about etymologies of words and diagramming sentences brings me delight; however, I realize that not all people have this crazy, grammar gene. If this is you, you will love Fix It! Grammar by Institute for Excellence in Writing (IEW). We have had the pleasure of reviewing and using other products by IEW in the past and were really excited when the opportunity to review Fix It! Grammar Robin Hood, Student Book 2 arose. IEW really has taken the work out of our hands with this easy-to-use, open-and-go grammar curriculum. There are 6 books in their Fix It! Grammar series, each building on the material learned in the previous book. Students can start in book one and work their way through the series at anytime, starting in grade 3 (or whenever you think they are ready). If you are not sure where to start, IEW provides a placement test to help you. This curricula follows a spiral approach to learning grammar, where you practice everything you’ve learned every week. This repetition helps with retention and builds confidence in their grammar skills. Each week is laid out on only 2 pages, making the week’s work not seem too daunting. On the left, the target grammar is explained with simplicity and examples. Since this is book 2 in the series, it starts reviewing some of the concepts learned in Fix It! Grammar The Nose Tree, Book 1. This may include learning parts of speech and their functions, punctuation and capitalization, sentence clauses, word usage, homophones, and sentence structure. Now, don’t panic! These are introduced slowly, and the teacher’s manual will provide any additional support your need to teach these concepts. On the right, you see one or maybe two sentences for each Day 1 -4. On Monday, the new targets are learned, and each day Monday through Thursday, the student focuses on one (maybe two short) sentences. They have to use what they learned to edit the sentence for proper capitalization, punctuation, and usage. They also have to label each of the words that they have learned and look up a new vocabulary word or two. Once checked over for errors, they write out the corrected sentences in a separate book. Each week they correct 4-5 sentences and add them to their book. The really neat thing is this: at the end of the year, they have written out one, continuous story. Bravo! The student book provides other helps, too. At the top of the second page, they keep a current list of items the student has learned up to that point. This acts as a reminder of what things the student is responsible to correct in that week’s sentences. At the back of the book, grammar cards printed on stock paper are available to cut out and use as reminders or for studying as needed. We put ours on a ring for easy access. And finally, the student book has a glossary at the back, which provides an easy access point to find information on any particular rule, concept, stylistic technique, etc. If grammar is not your strong suit, don’t worry! The teacher’s manual provides instructions on how to get set up and prepare to teach these concepts. Each week, you can see what the student sees in their book plus additional teaching tips. Each’s days corrections are filled in for you along with further explanations and instructions. At the end of the book, you will find a scope and sequence, laying out all the concepts in the book as well as the same glossary as the student book. I love this curriculum. It is detailed without being overwhelming and flows perfectly with other IEW products. I especially appreciate the support IEW provides. IEW wants you and your student to succeed and provides free e-resources, including digital downloads for Fix It! Grammar Student Book 2, and other audio grammar lectures. I also like that this is affordable at $19 for the teacher’s manual. Have you tried any books in the Fix It! Grammar series? I would love to hear about it in the comments below.